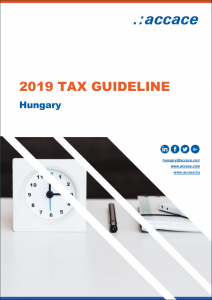 As with previous years, our tax experts have prepared a comprehensive yet brief overview of taxation in Hungary. The Act V of 2013 on the Civil Code sets the types of business associations that can be established for business purposes. In the next table we have compiled the most commonly used types of business associations in Hungary with their basic information. All of these business associations are legal persons. The amount of liability varies, as well as the required subscribed capital and the number of founders. Companies limited by shares (Rt.) are business associations operating either as private company limited by shares (Zrt.) or public company limited by shares (Nyrt.) depending on their shares’ availability on the stock exchange. General partnership (Kkt.) is not mentioned in the table as it is uncommon to use. Its advantage is that no minimum initial capital is required to start this type of business, but this is certainly one of the riskiest forms. Members of a Kkt. assume unlimited and full liability for the company’s obligations. Due to one of the amendments in the past, the required subscribed capital of limited liability company (Kft.) has been raised significantly from HUF 500 thousand to HUF 3 million. In Hungary flat rate personal income tax applies: 15%. The total tax burden (tax + contribution) in case of normal salary is 33.5%, so the general level of net salary is 66.5% of gross salary. The net to total company cost ratio is 54.9%. From the year 2019 instead of Heath Care Contribution (EHO), all specific incomes become subject to Social Contributions Tax (SZOCHO). This 19.5% SZOCHO is payable until the natural person’s income reaches twenty-four times the mandatory minimum wage in the tax year (upper limit of tax payment). Passive incomes (such as dividends or capital gains) and the benefits in kind for employees become subject to 19.5 % contribution, too. Tax rate is 9% of the positive amount of the tax base. The tax base both for domestic and foreign businesses is the pre-tax profit modified by items declared in Act LXXXI of 1996 on corporate income tax such as loss carried forward, provisions, depreciation, declared share, declared intangible good, dividends, received royalties, research and development, costs incurred that are not in relation with the business’ interests, imposed penalties, thin capitalisation, CFC . Business associations need to submit their CIT returns by May 31st following the tax year. For taxpayers with a different tax year, the filing deadline is the last day of the fifth month following their business year. Taxpayers with Hungarian residence have to pay corporate tax on their worldwide income (unlimited tax liability), while non-resident businesses only need to pay tax on the income from their Hungarian activities (limited tax liability). Hungary grants tax credits related to funding film making and performance acts, certain spectacle team sports, for business growth, for energy efficient investments and for small and medium businesses. Should a company make no profit, it still may have to pay corporate income tax on the income minimum as tax base. If the pre-tax profit or the tax base – whichever is higher – fails to reach the profit minimum, the taxpayer either has to make a statement of its cost structure in its tax return, or apply the income minimum as tax base (generally 2% of the total revenue). 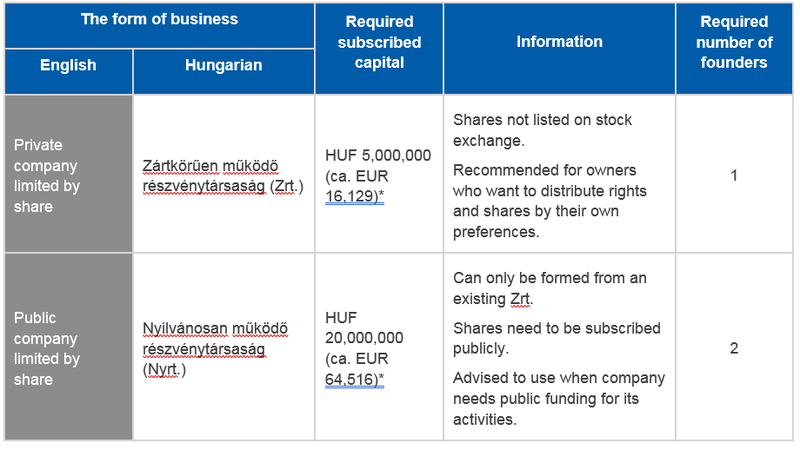 The Hungarian transfer pricing rules are in line with OECD Transfer Pricing Guidelines. Accordingly, intra-group transactions have to follow arm’s length principles. In Hungary, there are no provisions on which particular transfer pricing method is preferred. However, certain methods are listed in the CIT act and the law declares that other methods may only be used after the listed ones have been eliminated. Hungary introduced the CbC reporting obligation in autumn 2017. First financial year affected is 2016. In Hungary the related party transactions are to be documented properly; otherwise, the tax authority imposes harsh penalties for any deficiency ranging from HUF 2 million even up to HUF 16 million for repeated defaults regarding the same transfer pricing documentation. From 2017 Hungary implemented the Master file – Local file concept in the lay out and content requirement of TP documentation. FY 2017 can be documented according to the former rules either, but from FY 2018 the new concept is obligatory. Tax liability affecting the total revenues of resident taxpayers, the revenues obtained in Hungary by foreign individuals or other incomes that are taxable by law, in Hungary. Taxpayers could be both residents (Hungarian citizens with exception of dual citizens without Hungarian residence, EEC member state citizens with more than 183 days of staying, third country citizens with residence permit and persons only with Hungarian residence) and non-residents (if they earn income from Hungary or according to an international convention they earn income that is taxable in Hungary). Hungary has a personal income tax rate of 15% of the tax base. For resident taxpayers, the tax base is their whole income, while in the case of non-resident taxpayers it represents their locally taxable incomes. Writers, journalists, artists, directors, actors, musicians and circus artists who obtain a yearly income under HUF 60 million and athletes or trainers with a yearly income under HUF 250 million, can choose this favourable tax form. This tax exempts from the personal income tax, pension contribution, health insurance contribution and social contribution tax and its tax base is the individuals revenue reduced (if the private person is liable to pay it) with the value added tax. The applicable tax rate in this case is 19,5% for the payer/employer, 15% for private individual and 11,1% for pensioner. The VAT general tax rate in Hungary is 27% in accordance with the EU VAT directive. Nonetheless, there are two reduced VAT rates in use: 5% and 18%. VAT returns are required to be submitted monthly, quarterly or yearly. Deadline for filing the return is the 20th day of the month following the given period. The yearly VAT return has to be submitted by February 25th following the given tax year. In case of distance sale, companies registered in other member states only need to be registered by Hungarian tax authority if their total net sales to Hungarian non-taxable customers exceed the value of EUR 35 thousand. Certain products and services are the beneficiaries of lower VAT rates. The 5% rate applies to some type of milk, poultry meat, fish fillets and other fish meat, fresh eggs, medicine, books, magazines, specific large live animals, district heating services, instrumental live music performed by artists at private events, new residential properties, restaurants and internet. The 18% rate can be applied to dairy products, products made from milk, corn, starch, commercial accommodation services and open-air events’ service providers. Please note that VAT of certain group of services and products are not deductible, such as different types of fuels and motorcycles, passenger cars, taxis, parking services, food and beverages, catering services and residential properties and related activities to renovation of these buildings. When both the buyer and the seller are taxable persons and not exempt from VAT, domestic reverse charge mechanism is to be applied with regard to certain services and product supply. Instead of including VAT in the invoice, the seller should state in the invoice, that the transaction is subject to the reverse charge mechanism; hence the buyer will have to pay VAT to the competent tax authority. Domestic reverse charge VAT can be applied to services that require a building permit, construction work in connection with expanding, restructuring, demolition of buildings, maintenance, sale of certain metal products, grain, collateral assets, sale of real estate – when the vendor opts for taxability, and labour hire. Purchasing real estate through an asset or share deal is subject to transfer tax obligations. The assessed tax base will be the gross market value of the real estate by the tax authorities’ practice. Transfer tax rate is 4% up to HUF 1 billion and 2% for the rest of the amount. The total amount of transfer tax payable per property is limited to HUF 200 million. Tax base for permanent activities performed in the jurisdiction of the local government is the net sales revenue reduced by costs of sold goods, value of mediated services (or above a certain amount of sales revenue by the proportional share of the above mentioned), subcontractor fees, material costs and direct value of research and experimental development. Temporary business activities (performed at least for 30 days but not more than 180 days) For temporary business activities the tax rate is maximum HUF 5,000 per calendar day. The implementation and allowances of tax depends on the local government’s decision. Regardless of what they are intended or utilized for, both residential and non-residential buildings and structures may set building tax obligations for the taxpayer. The owner on January 1st is subject to tax. Should there be more owners, they need to pay tax according to their proportions of shares in the building. Depending on the local government’s decision, building tax is either calculated by the useful space in m2 (maximum amount payable is HUF 1,100 / m2 / annum) or adjusted market value (maximum 3.6% of the adjusted market value of the building). The owner on January 1st may be subject to land tax. Depending on the local government’s decision, land tax is either calculated by the land’s area in m2 (maximum tax rate is HUF 200 / m2 / annum) decreased by the structure’s space on the land itself, or the adjusted market value of the land (capped at 3%). Both building and land taxes’ rates are heavily affected by the local government’s decisions, so it is advised to obtain the necessary information regarding which method is being used. The National Tax and Customs Administration of Hungary is the competent authority for customs duties. Since Hungary is a member state of the European Union, no customs procedures are required as free movement of goods is ensured between member states, unless you exceed the non-commercial quantity declared in the Hungarian Excise Act. Goods purchased for non-commercial purposes are exempt from customs procedures as well. However, transport of specific goods or items such as alcohol, tobacco, weapons, medicines and pets are subject to restrictions depending on the country of origin and means of transport. Passengers carrying goods from third countries that are outside the EU face more solid restrictions on these products if they depart from another member state. In addition to the above goods, passengers are exempt from customs duty and taxes for goods imported up to the value of EUR 300, while up to the value of EUR 430 if travelling by air. land available for free or at reduced prices. The regulations on incentive opportunities are in accordance with EU rules. As tax incentives are the most popular and commonly-used form of incentive, we will expand on them further. the other has decreasing impact on the calculated tax liability. This type of allowance is applicable by entities considered as small or medium enterprise at the end of the financial year and has only private person member(s). According to the allowance the enterprise is entitled to decrease its profit before taxation with the amount of investment related to new assets not capitalized during the financial year. The amount of allowance cannot exceed the amount of profit before taxation. Entities have the possibilities to create development reserve while decreasing the retained earnings for future asset investments. The amount shown as development reserve at the end of the financial year is tax base decreasing item according to the Act on CIT. It can be used up to 50% of the profit before taxation, but maximum HUF 10 billion. The reserve has to be utilized for asset investment within 4 years. In case of cultural heritage related investment projects on monuments, buildings recorded as historic value, property qualifying under special protection, the double of cost of renovation (investment) of the property can be taken into account as tax base decreasing item. There is the possibility that the cost will be utilized at the related company of the investor. The amount of the allowance on the level of calculated tax cannot exceed the HUF equivalent of EUR 100 million. Small and medium enterprises are entitled to tax allowance based on interest on loan requested from financial institute for fixed asset investment. The tax allowance available in given year equals with the interest amount paid during the financial year. The taxpayer is entitled to tax allowance based on investment for energy efficiency. The amount of tax allowance is 30-65% of the counted costs related to the investment, but at most HUF equivalent to EUR 15 million. The tax allowance can be used in the tax year following the year when the investment was placed into operation – or in the same tax year at the taxpayer’s discretion – and in the following five tax years. it performs investment amounted to at least HUF 3 billion (on present value) related to job-creating. The rules of such tax credit is determined also by the given government decree beside the Act on CIT. There are different criteria for each tax credit. The main criteria for utilization of the tax credit are that related request has to be submitted to the Minister responsible for Tax Policy. The tax credit can be utilized in 13 financial years (firstly in the financial year following the capitalization of the investment or based on decision right in the financial year of capitalization) but not later than the 16th financial year following submission of the request. The taxpayer has reporting obligation related to the investment details in the financial years when the tax credit will be taken into account. The report is part of the annual corporate income tax return.